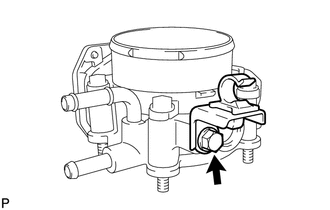 (b) Separate the hose from the hose clamp. 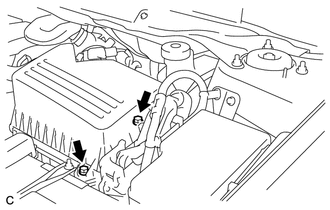 (c) Disconnect the ventilation hose from the cylinder head cover. 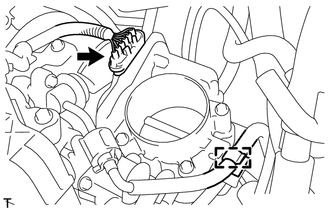 (d) Unlock the hose band and separate the air cleaner cap sub-assembly from the throttle body assembly. 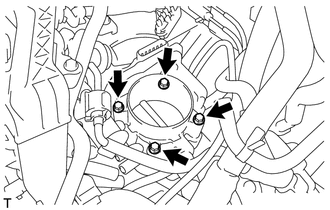 (e) Remove the 2 bolts and air cleaner cap sub-assembly. 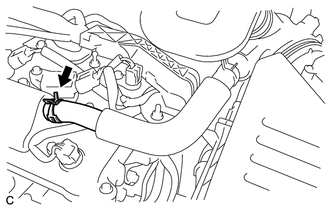 (b) Disconnect the fuel tube from the clamp. 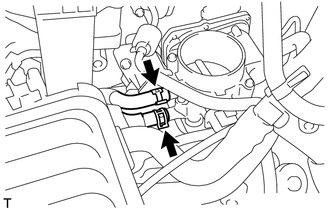 (c) Disconnect the 2 water by-pass hoses from the throttle body assembly. 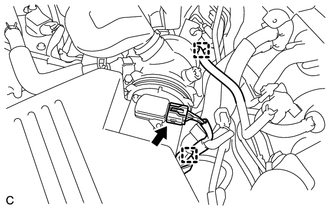 (d) Remove the 4 bolts and the throttle body assembly with the fuel tube bracket. 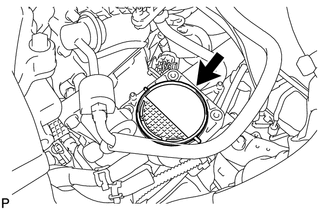 (e) Remove the bolt and fuel tube bracket. 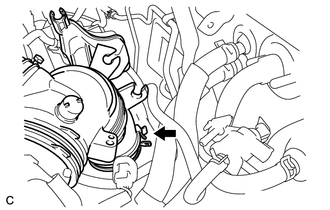 (f) Remove the gasket from the intake manifold.